It seems that most businessy people have made the transition from laptops to tablets, but if you’re like us you still like to have the ease of typing that a laptop can provide. And again, if you’re like us, you also hate the trackpads built into laptops and insist on having an external mouse. That isn’t much of a problem when you’re at your desk, but when you want to move around it can be kind of a pain to either carry or pack your laptop and your mouse. The Clip Mouse from designer Frank Guo is a clever solution that lets you take a mouse along with you without much trouble. 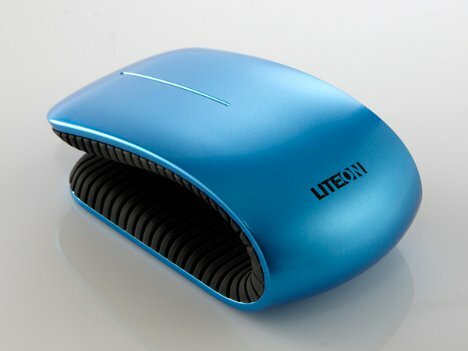 The Clip Mouse was a 2012 Liteon Award entry. 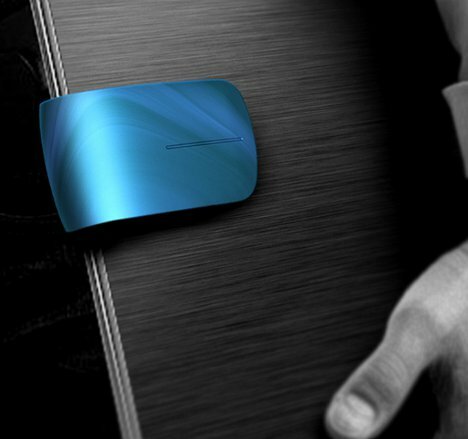 It is a functional laptop mouse that clips securely onto the side of a laptop for easy transportation. 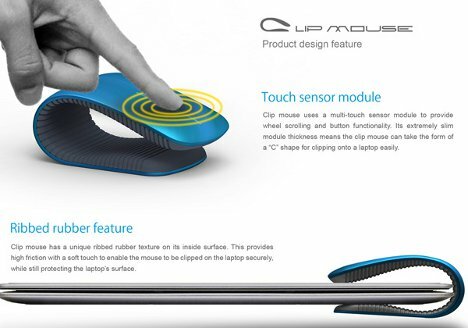 When in use, the Clip Mouse has a multi-touch surface that allows it to click and scroll without buttons or wheels. Its hand-fitting “C” shape makes it comfortable to use and allows the inside of the “C” to grip the side of the laptop when it is not in use. The interior of the curve is covered in ribbed rubber that provides a non-slip surface, ensuring that your mouse will make it to the meeting with you rather than falling off somewhere in the office hallway. See more in Computers or under Gadgets. December, 2012.